It’s well-known that one of the the best gifts for a man is a bottle of good quality wine or champagne. And when it’s coupled in a gift set to Slovakia with chocolates it will surely be very much appreciated. “Many Thanks!! Your basket was received by the recipient with much excitement. Thank you, and New Year greetings!!! International gift delivery service GiftBasketsOverseas.com wishes you and your family Merry Christmas!!! 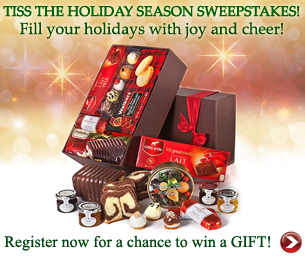 Want to congratulate your beloved ones and business associates and send Christmas gift baskets overseas? Visit our website www.giftbasketsoverseas.com to find plenty Christmas Gifts Ideas! What can bring more joy than seeing happy faces of your nearest and dearest this Christmas? 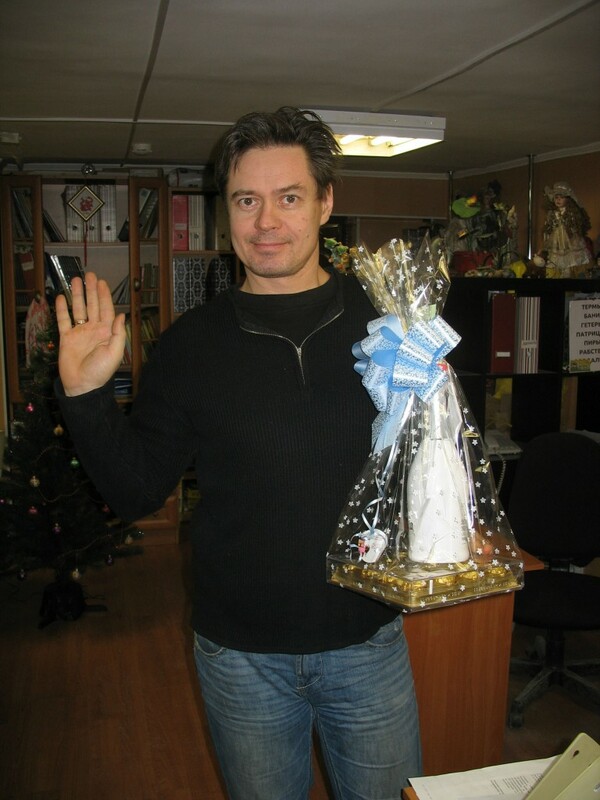 Send them a sweet surprise hidden in this chocolate gift basket to Norway and be sure they have great holidays! 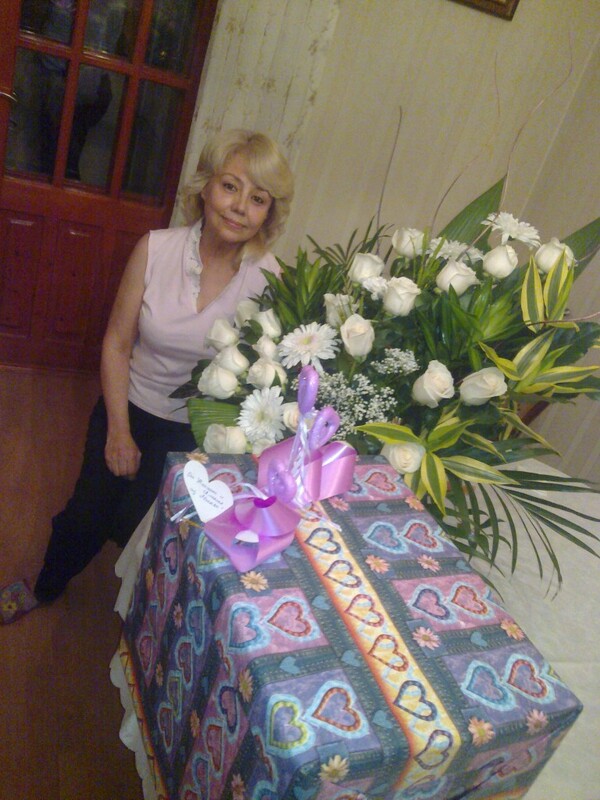 ” Thank you so much, really very beautiful gift! Very nice Surprise! Merry X-Mas Sweepstakes Winners Announced! 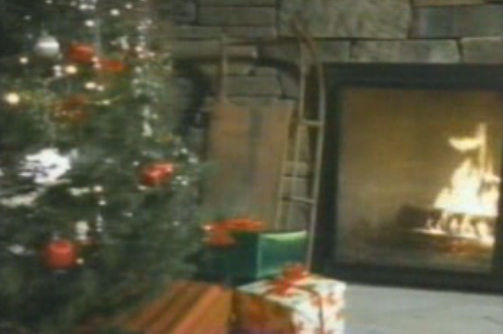 Time’s up, and our Merry X-mas sweepstakes campaign has reached it’s conclusion. As always, winners are generated randomly, and this time around we have not one but three lucky winners! 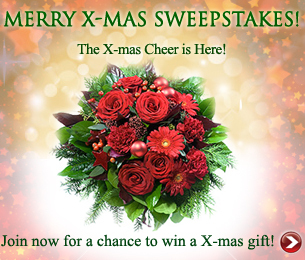 Congratulations to Leisa Wooten, Elaine Pardo and Christina Nevius, you are this years winners of a FREE seasonal Christmas flower bouquet! We will contact you shortly to discuss the details. We would like to thank everyone for participating and following us on Facebook. We wish you and your loved ones a very Merry X-mas and a Happy New Year! With Christmas fast approaching, it’s time to announce our lucky three ‘Tiss the Holiday Season’ sweepstakes contest WINNERS! Mary Kramer, Irene Cypher and Michelle Duffey step right up and collect your prizes! We will be contacting you shortly to discuss the details. We would like to thank everyone for participating in this years holiday sweepstakes on our Facebook page, and remember, there’s always next time. The Gift Baskets Overseas team would like to wish a Merry Christmas and a Happy New Year to you and all your loved ones! Christmas Gift Baskets Conquer the World! 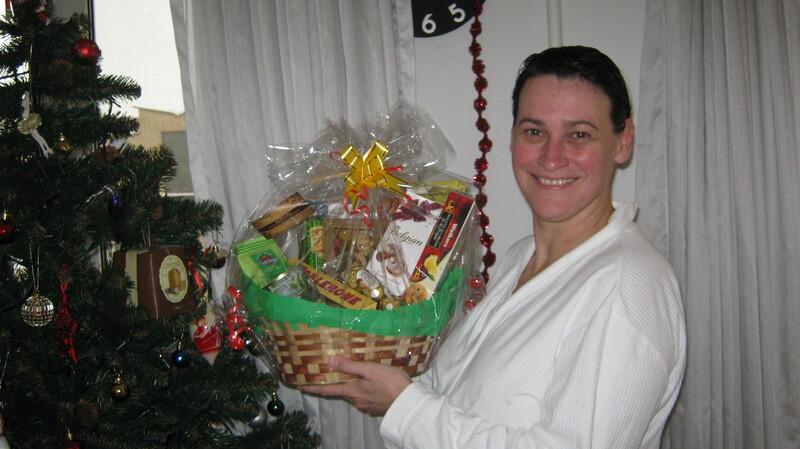 ARLINGTON, Mass., Dec. 14, 2011 /PRNewswire/ — This week the company has unveiled a new line of Christmas gift baskets for delivery in more than 140 countries around the world. 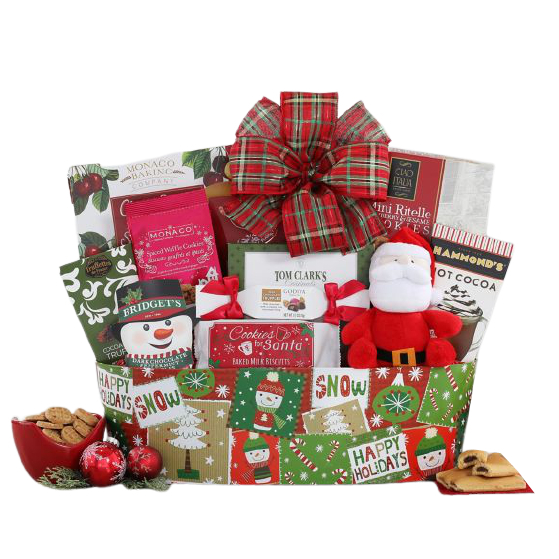 From individual Christmas gifts to large corporate Christmas gift hamper orders, GiftBasketsOverseas.com has an even larger selection of Christmas gift Baskets to Asia, Christmas gift hampers to Europe, Christmas gift to the United States, and everywhere in between. Whether customers are searching for the perfect bottle of wine, a sumptuous gourmet gift, or a decadent chocolate basket, they can find something for everyone on their Christmas list inside each country’s new catalog. But GiftBasketsOverseas.com hasn’t been satisfied with delivering to most countries around the world; the company continues to grow and add new catalogs each year. This holiday season, they’ve unveiled all new catalogs and gift options to Turks and Caicos, Isle of Man, Belize, Nicaragua, Jordan, Bonaire, Anguilla, and Zimbabwe. It’s never been more true that no matter where your recipients are, GiftBasketsOverseas.com can reach them. Christmas Gift Baskets from www.GiftBasketsOverseas.com are artfully created to express your love, gratitude, and care with elegance, beauty, and unmatched quality not only the winter holidays, but also on any heartfelt occasion. Visit their Christmas online catalog to order. 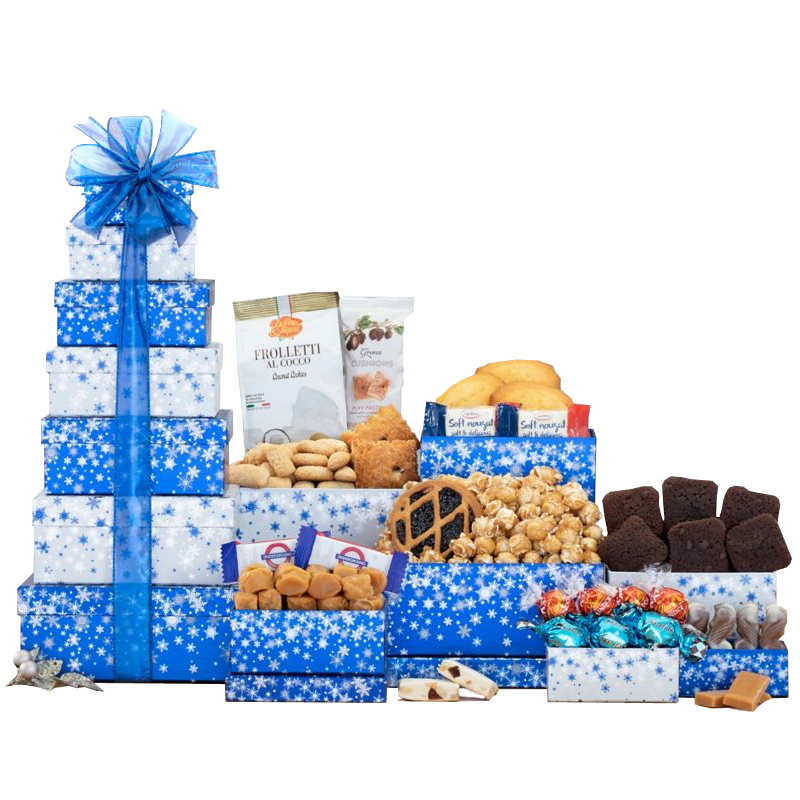 GiftBasketsOverseas.com is an A-ranked, BBB-accredited company based in the United States that specializes in delivering superior quality gifts to over 140 countries. GiftBasketsOverseas.com is renowned globally for providing online ordering convenience, multilingual customer service, and secure payment options. Your love, generosity and imagination knows no limit? Send your very special someone one of the most chic gift to UK and leave them struck with surprise and delight! Christmas Gift Ideas to USA, Canada, Australia 2011! Magic and joyful Christmas season is just round the corner! There are no places in the whole world where people love to celebrate Christmas with such big enthusiasm like in USA, Canada and Australia! There is an entire special ceremony to celebrate this holiday, which includes houses and fir-trees decorating, caroling, attending Christmas mass, feasting, spending time with beloved ones and of course exchanging Christmas gifts! Choosing appropriate Christmas gifts for either friends, family members, or business associates is not an easy matter that requires a bit of an effort, time, imagination and patience. To help you avoid the pre-Christmas rush and headache, we’d like to share with you some useful Christmas Gift Ideas. Just use some of these tips and be sure this Christmas will be truly magic for both you and your dear recipients in US, Canada and Australia! champagne corks and raising toasts! 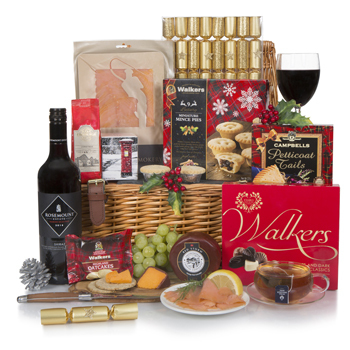 That is why in our Christmas catalog you can find plenty of champagne and wine gift baskets. 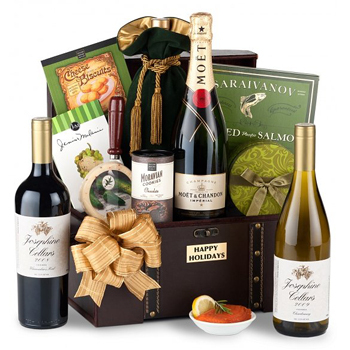 Either chic and classy like Grand Celebration Gift Basket to USA, Holiday Extravaganza with Stags Leap Vineyards to USA, Presented With Style to USA, All-Star Christmas Wine Trio Gift Basket to USA or more simple but stylish Bottle of Domaine Ste. Michelle to USA, Luxury Celebration to USA, The Gifts of Heaven Holiday Assortment to USA your wine or champagne gift to USA is sure to be the perfect addition to any holiday table! There’s nothing like the taste of fine wine or champagne coupled with delicious gourmet treats to get your family, friends, boss and colleagues into the holiday spirit! 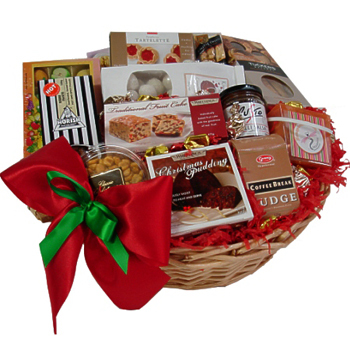 Send your precious recipients Christmas gourmet gift basket to USA to make sure they have a sumptuous and unforgettable holiday. 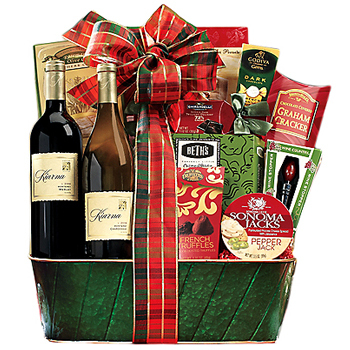 Santas Sleighful of Goodies to USA, Fruit Profusion Gift Basket to USA, Everything You Need to USA, Warm Wishes for the Holidays Basket to USA, Happy Holidays with La Crema Monterey Chardonnay to USA – these are only some gourmet gift ideas you can choose from our extensive Christmas catalog. 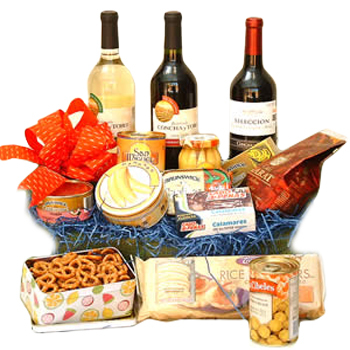 When you want to hit it with your Christmas gift to USA , gourmet gift basket is a perfect solution! Christmas is the time of breaking the diet and indulging in numerous yummy treats. Even avid healthy food fans relax during the holiday season and allow themselves to enjoy the feast to its full. That’s the reason why you shouldn’t hesitate when choosing a Chocolate gift to USA for your beloved ones or business associates! Both children and adults will be more than delighted to receive a beautiful and delicious Snowflakes and Sweets Basket to USA, Santa Claus Gift Assortment to USA, Sumptuous Snowman Tower to USA, Warm Them With Cocoa Holiday Basket to USA,Snowy Tower Gift Collection to USA, or any other sweet basket to USA from our Christmas Gifts catalog! to make this Christmas SPECIAL for you and your recipients!